Save the "I Heart My Body Contest" on your desktop. 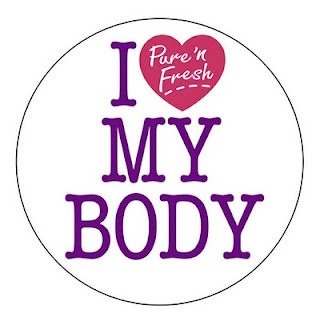 Post the "I Heart My Body" badge on Unilab FB wall (as fan photo) and tag 20 female friends. If you're a mom, complete the sentence "As a mom, I tell my teen daughter to love her body because___." If you're a teen, complete the sentence "I heart my body because___." Each day, two winners (via electronic raffle) will receive a special gift pack from Pure 'n Fresh. The contest will run from August 10 to 16, 2010. You can start posting and tagging on Aug. 9. One entry per user only. No need to keep reposting. Once your entry appears on the Unilab wall, you're considered entered. Make sure your wall post is open to everybody. We can't see your post (even if you tag us) if your settings are locked. For the duration of the contest, please open your Info tab so we can verify authenticity of the account. If you have questions, just post on the Unilab wall.